What started out as a family business of catering in Olongapo City sprung into an iconic Filipino-inspired restaurant in the walled city of Intramuros. Back in the 1970’s, Barbara Gordon-De Los Reyes tried to venture into the food industry without any culinary background. However, with the help of her family, she was able to learn and master the art of Filipino cuisine. 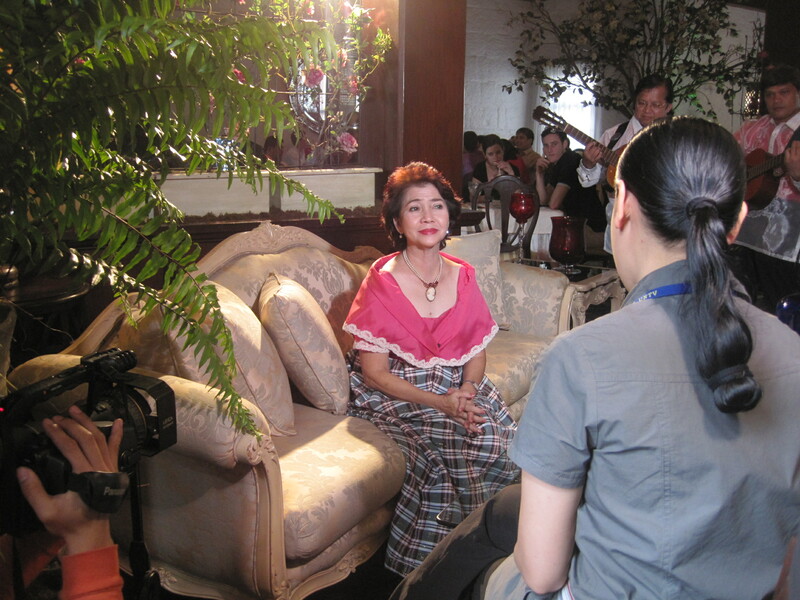 She then brought her new-found talent to General Malvar, Malate. “My mom won’t eat the food if it is not really good. For her, no matter how simple a food can be, it must be really good. The food must be a delight to people,” she shared to Fridaynadear. She started her business under the name Admiral Manila, a small café serving sandwiches. After a few years, it became associated with Admiral Enterprises of Olongapo City, which served at the US Naval Base in Zambales. The café also became a concessionaire in big companies like Filinvest and Philippine Airlines. After years in the food industry, Barbara—together with some business partners—founded the Makati Skyline restaurant in Makati. Soon, she opened Barbara’s under the catering service Barbara’s Food and Catering Services Inc., which is one of the few restaurants in Manila offering authentic Filipino food. 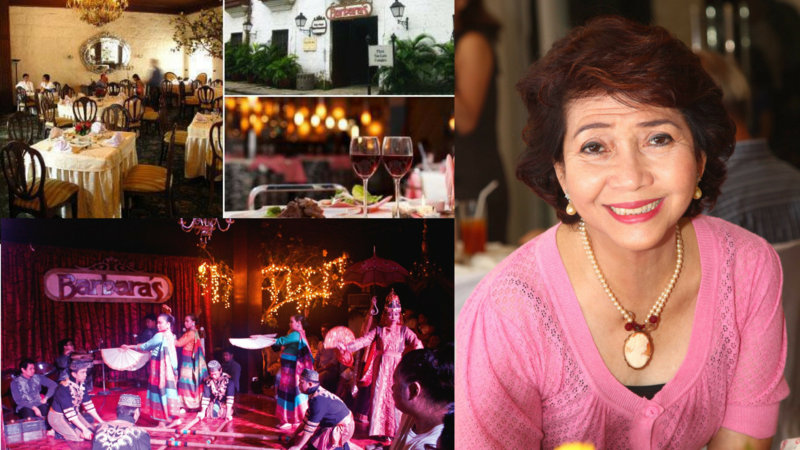 One of the main highlights of this restaurant is their live entertainment and music, where they incorporate Philippine culture during their performances. 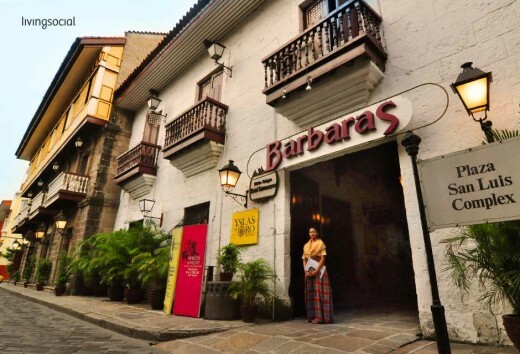 Barbara’s, with its beautiful 18th-century architectural design, has preserved Intramuros’ ambiance of the Spanish colonial period. Amelia De Los Reyes, Barbara’s daughter, shared how they found the place where the restaurant is standing now. “We were looking for a place when I was 17. I wanted a début that was not the usual. I wanted mine to be different. And we stumbled upon this place,” she said. Then they rented the current Sala Filipina Ballroom for her celebration. A month after the début, the concept of Barbara’s was made. Soon, they opened Barbara’s lunch buffet to serve nearby offices. The restaurant’s main entrees are traditional Filipino and Spanish recipes, but they also serve other specialties like European-inspired dishes. Now, they have become a major attraction, where events and gatherings are being held. Barbara’s is for people who enjoy good food served in a grand manner. With the success of the restaurant came also the Kultura Night. Kultura Night aims to give the guests a glimpse of the Philippine culture. 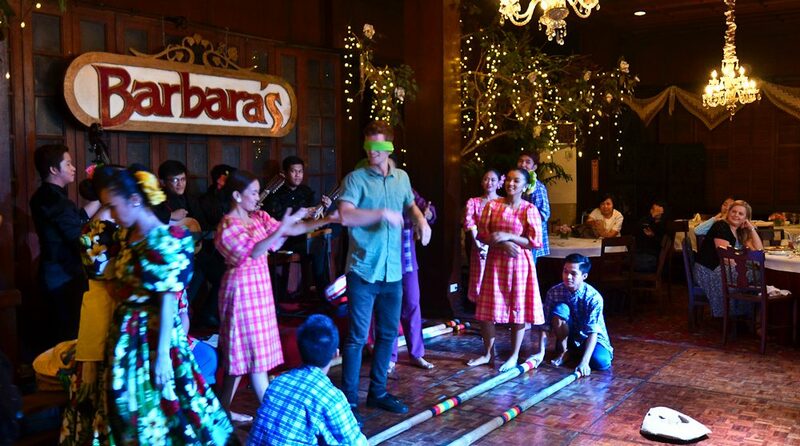 De Los Reyes wanted to showcase the Filipino culture and traditions through an enthrallment. Every show, a 45-minute performance of the Kundiman and Filipino folk songs and dances would delight and entertain the customers at their dinner buffet. 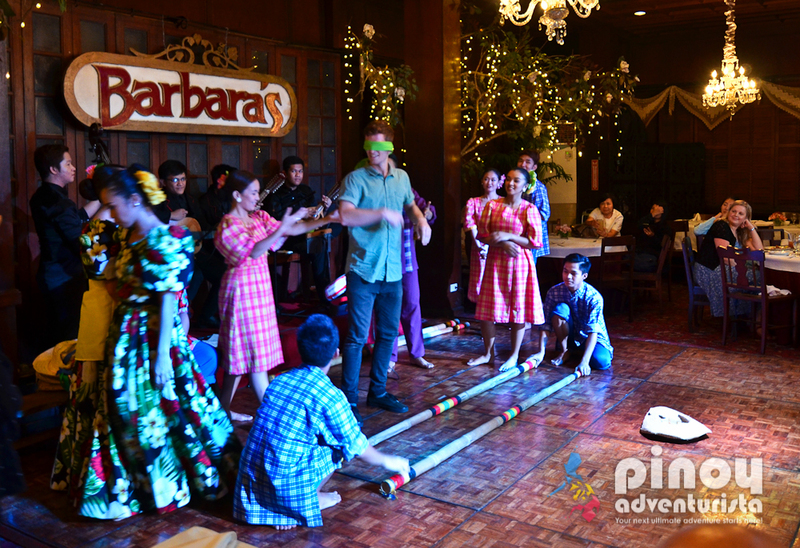 Some of these include the Singkil of Mindanao, the Tinikling of the Visayas and the Pandango Sa Ilaw of Luzon. These shows are being performed by the Folklorico Filipino Dance Company. Their performances have delighted many—from commoners to even state officials, and diners are even invited to join the dancers. “Several foreigners have said to me, ‘Barbara, I love you,’ and it affects me because I see it as a sincere gesture. 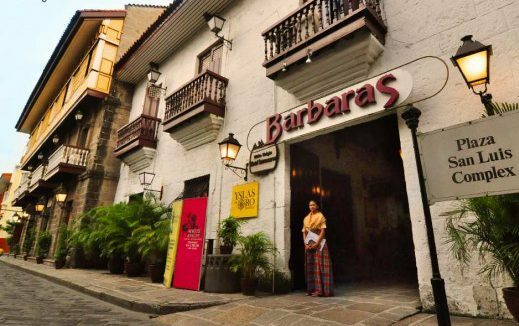 What makes Barbara’s distinct is the food, the ambiance, and the conversations that make us connected,” Barbara shared to Philippine Tatler.